Material: 925 Sterling Silver Plating Color: Silver, Rhodium, Gold, Rose Gold, Etc. Jewelry Type: Link Chain Setting: Hand Setting, Bezel Setting, Wax Setting, Etc. 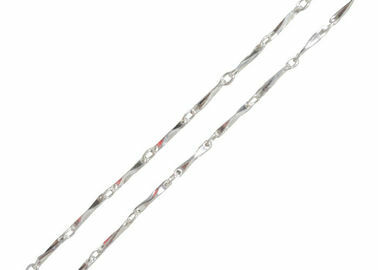 This sterling chain is 1.2mm craved pillar links with double head line claw clasp knot. You can match the chain with any pendant you like, or you can wear it alone. This sterling silver chain is in clean surface and highly polished. Trial order is warmly welcomed. We also welcome customized orders, as we have a very professional working team of designers who can meet any of your requirements. 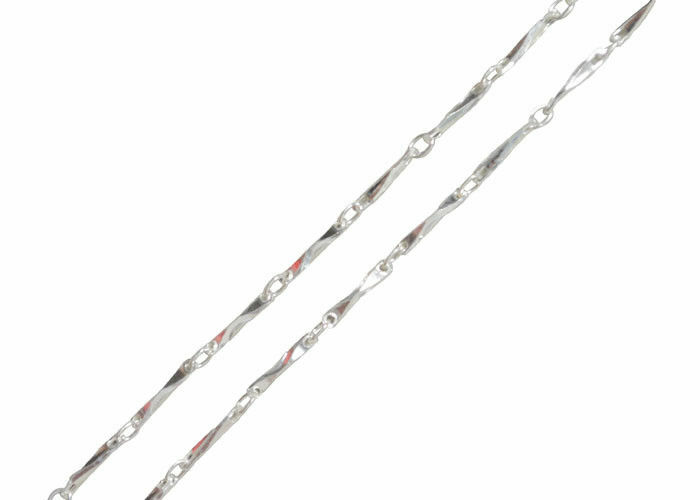 With 93% sterling silver to guarantee the 925 silver, also can manufactur 99 silver items under request. clubs, post offices clubs, exhibition visitors. bars, beauty shops, golf course. Most of the workers in our factory have above 10 years' working experience for high quality customers. We can manufacture the high quality goods in tiem at competitive price.